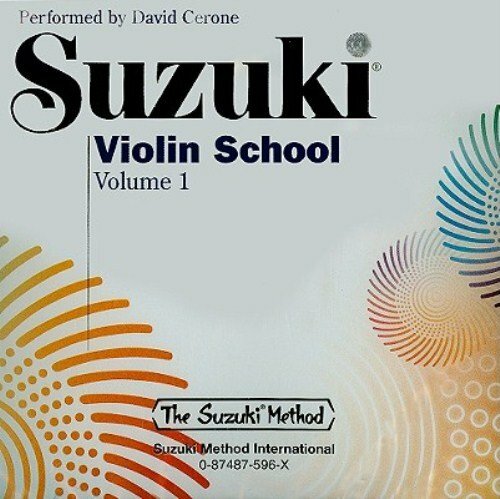 World-renowned violinist David Cerone has produced a recording of the music from this volume of the immensely successful Suzuki Violin School. The CD features an exquisite rendition of the violin part with piano accompaniment. Titles include: Principles of Study and Guidance * Twinkle, Twinkle, Little Star Variations (Shinichi Suzuki) * Lightly Row (Folk Song) * Song of the Wind (Folk Song) * Go Tell Aunt Rhody (Folk Song) * O Come, Little Children (Folk Song) * May Song (Folk Song) * Long, Long Ago (T. H. Bayly) * Allegro (Shinichi Suzuki) * Perpetual Motion (Shinichi Suzuki) * Allegretto (Shinichi Suzuki) * Andantino (Shinichi Suzuki) * Etude (Shinichi Suzuki) * Minuet 1, Minuett III from Suite in G Minor for Klavier, BWV 822 (J. S. Bach) * Minuet 2, Minuet, BWV Anh. II 116 from Notebook for Anna Magdalena Bach (J. S. Bach) * Minuet 3, Minuet BWV Anh. II 114/Anh. III 183 (J. S. Bach) * The Happy Farmer from Album for the Young, Op. 68, No. 10 (R. Schumann) * Gavotte (F. J. Gossec). 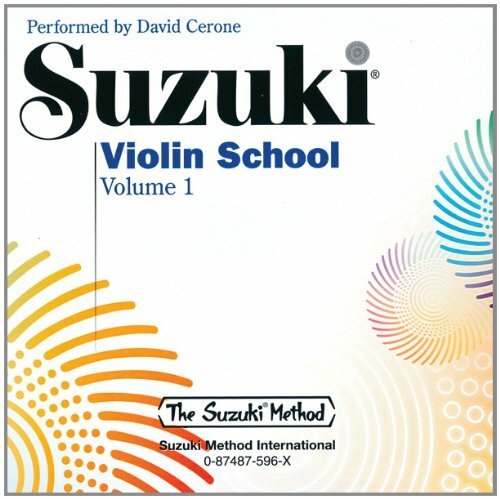 Compact disc recording of Suzuki Violin School Volume 1 as performed by David Nadien. Revised CD features new recordings by Bill Preucil, Jr and piano accompaniments recorded without the violin part. Titles: Principles of Study and Guidance * Twinkle, Twinkle, Little Star Variations (Shinichi Suzuki) * Lightly Row (Folk Song) * Song of the Wind (Folk Song) * Go Tell Aunt Rhody (Folk Song) * O Come, Little Children (Folk Song) * May Song (Folk Song) * Long, Long Ago (T. H. Bayly) * Allegro (Shinichi Suzuki) * Perpetual Motion (Shinichi Suzuki) * Allegretto (Shinichi Suzuki) * Andantino (Shinichi Suzuki) * Etude (Shinichi Suzuki) * Minuet 1, Minuett III from Suite in G Minor for Klavier, BWV 822 (J. S. Bach) * Minuet 2, Minuet, BWV Anh. II 116 from Notebook for Anna Magdalena Bach (J. S. Bach) * Minuet 3, Minuet BWV Anh. II 114/Anh. III 183 (J. S. Bach) * The Happy Farmer from Album for the Young, Op. 68, No. 10 (R. Schumann) * Gavotte (F. J. Gossec). Titles: Study Points for Volume 2 * Chorus from Judas Maccabaeus (G. F. Handel) * Musette, Gavotte II or the Musette from English Suite III in G Minor for Klavier, BWV 808 (J. S. Bach) * Hunters' Chorus from 3rd Act of the Opera Der Freischutz (C. M. von Weber) * Long, Long Ago (T. H. Bayly) * Waltz, Op. 39, No. 15 for Piano (J. Brahms) * Bourrée from Sonata in F Major for Oboe, HHA IV/18, No. 8 (G. F. Handel) * The Two Grenadiers, Die beiden Grenadier, Op. 49, No. 1 for Voice and Piano (R. Schumann) * Theme from Witches' Dance (N. Paganini) * Gavotte from Mignon (A. Thomas) * Gavotte (J. B. Lully) * Minuet in G, Wo0 10, No. 2 (L. van Beethoven) * Minuet from Sei Quintetti per Archi No. 11, Op. 11, No. 5 in E Major (L. Boccherini). This title is available in SmartMusic. 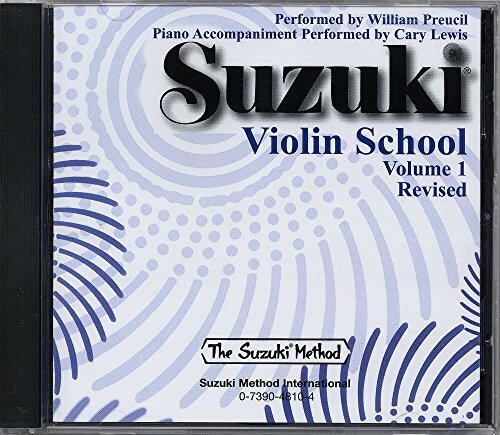 The SUZUKI METHOD of Talent Education is based on Dr. Shinichi Suzuki's view that every child is born with ability, and that man is the son of his environment. According to Dr. Suzuki, a world-renowned violinist and teacher, the greatest joy an adult can know comes from developing a child's potential so he/she can express all that is harmonious and best in human beings. Students are taught using the "mother-tongue" approach. Suzuki Viola School materials include: Viola Parts (Vol. 1-6) * Piano Accompaniments (Vol. 1-6) * Cassettes (Vol. 1-6 performed by Bill Preucil). 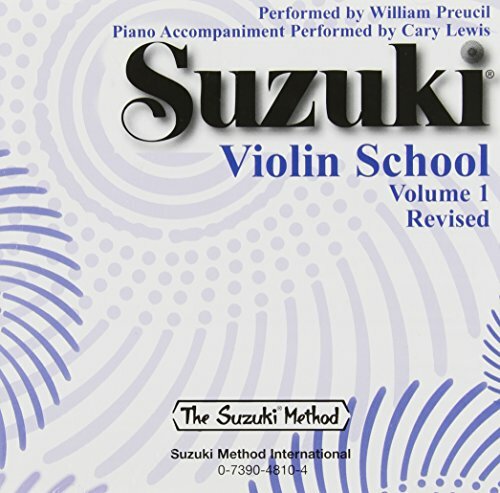 Suzuki Method Core Materials available for piano, violin, viola, cello, string bass, flute, harp, guitar, and recorder. The revised edition for Suzuki Violin School, Volume 6 is now available. 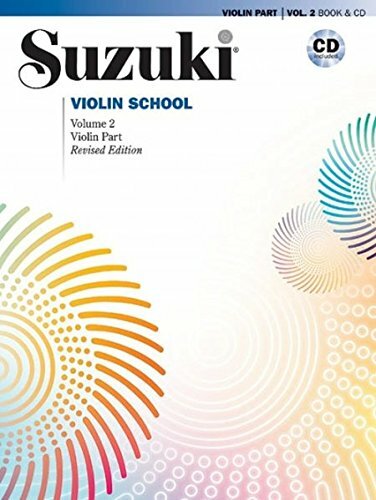 Like the other revised violin books, the music has been edited by the International Violin Committee. Titles: La Folia (A. Corelli/S. 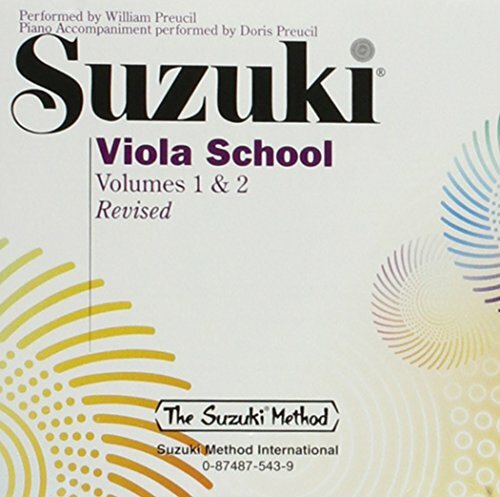 Suzuki), Sonata No. 3 in F Major, HWV 370 (G. F. Handel), Allegro (J.-H. Fiocco), Gavotte (J. Ph. Rameau), Sonata No. 4 in D Major, HWV 371 (G. F. Handel) Other features include:* New engravings in a more easily readable 9 x 12 format * New editing of pieces, including bowings and fingerings * Available together with the newly recorded CD for $19.99 * CD by William Preucil, Concertmaster of the Cleveland Orchestra * Piano accompaniments recorded by Linda Perry. This title is available in SmartMusic. 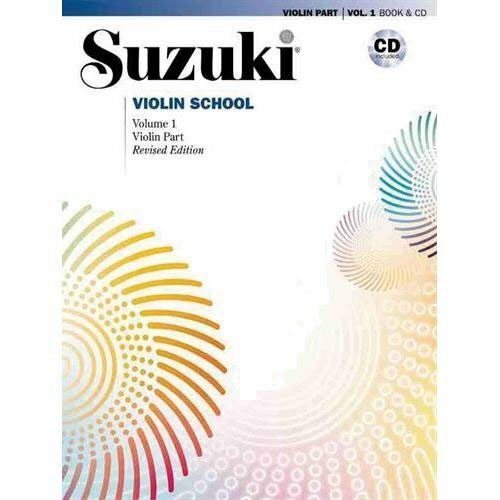 Compare prices on Suzuki Violin 1 Cd at ShoppinGent.com – use promo codes and coupons for best offers and deals. Start smart buying with ShoppinGent.com right now and choose your golden price on every purchase.